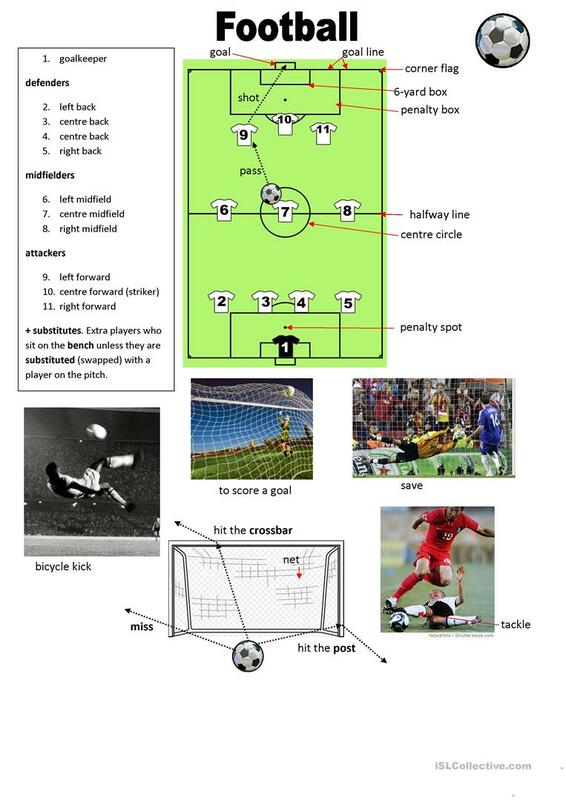 2 pages of football vocabulary. 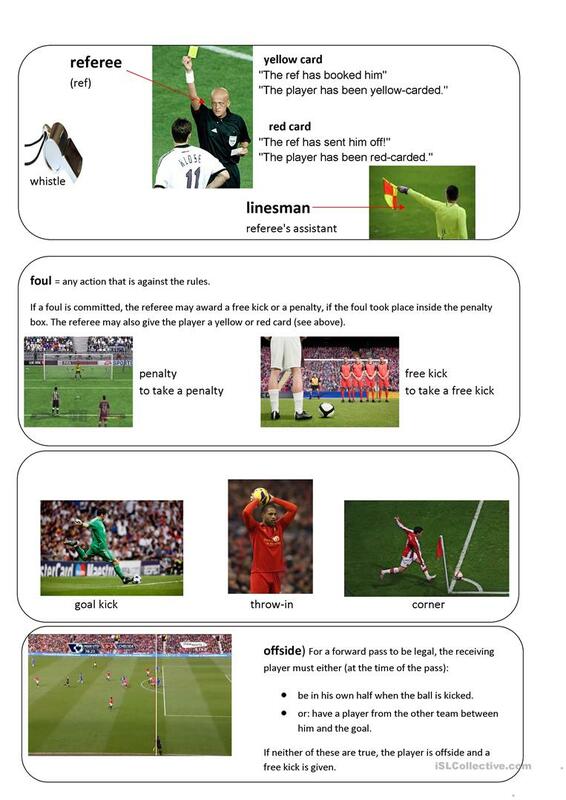 May be useful for students interested in football who want to expand their vocab/ or learn the basic terms. This printable, downloadable handout is a great resource for high school students, elementary school students and adults at Pre-intermediate (A2), Intermediate (B1), Upper-intermediate (B2) and Advanced (C1) level. It is focused on the vocabulary topic of Sports. snook is from/lives in United Kingdom and has been a member of iSLCollective since 2013-06-22 03:54:54. snook last logged in on 2015-01-14 06:27:26, and has shared 1 resources on iSLCollective so far.